The Royal Rumble is coming up and this year, there are no rumored surprise entrants on tap for the company. However, in the past, there have been plenty of surprise entrants and huge returns at the Royal Rumble that catches everyone's attention and today, I wanted to take a look at the 5 best surprise entrants in over the long history of the Rumble. -With the Rumble set in Michigan, the home state of Van Dam, this was a surprise that some expected, but for the most part, it was a true surprise. RVD came out to a nice ovation and would last around 15 minutes in the match. No one expected him to win of course, but it was really fun to see RVD back in a WWE ring. I would have liked to see that surprise return lead to a long term return and a big feud, but it wasn't to be at the time. Still, this was a great return for the Rumble and a nice moment for all the fans of RVD. -Foley was flirting with getting back into the ring and after being embarrassed by Randy Orton, it would lead him to getting back to where he was most comfortable: the squared circle. After taking out an entrant in the Rumble, Foley walks out to the surprise of the crowd, and the ovation is thunderous. Orton looked completely shocked at the return of Foley, and when Foley got into the ring, he had no motivation besides eliminating Orton and stopping him from reaching the Mania main event. Foley would end up eliminating himself while taking Orton out, but his mission was complete. -Diesel was a big entrant, but for me, Booker T was a bigger entrant. Diesel was expected by many, but Booker T didn't seem possible at the time. He was a part of TNA for years prior and seemingly left the WWE on less than great terms, but when his music hit, the crowd went absolutely nuts and Booker returned triumphantly. He didn't last very long in the Rumble, but his impact was felt and we got to see everything from Booker that we loved in his prime. -We saw this coming a mile away. 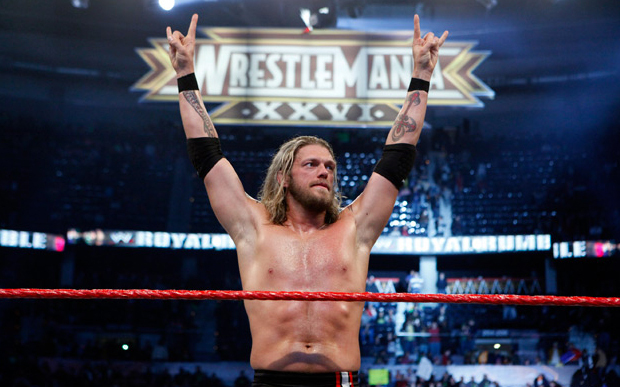 Edge had been injured for months and he would be ready to make his return as the Rumble got closer and many people saw this one before it happened. Still, it was a great moment to see Edge get this type of push fresh off a serious injury, and he had his sights set on one man: Chris Jericho. Edge would manage to do that and then some, as he would walk away with Chris Jericho not winning the Rumble.... but as the winner himself. Edge would make the most triumphant return at the Rumble and cash a ticket on the Road To Wrestlemania to become the no. 1 contender. -The biggest surprise entrant ever. Cena was injured. He was gone. No one saw this coming. Most thought he would end up missing Wrestlemania or was in danger of missing it at least, however, that wasn't the case at all. As the clock hits 0, the crowd is silent waiting with hushed excitement to see how is the last entrant. As Cena's music hits, the crowd goes wild for a moment, before realizing who the final entrant actually is (they would boo Cena some more after it settled), but the truth is, the shock of seeing Cena months before he was due back set a huge ripple through the wrestling world. To make it even more special, Cena wins the Rumble, giving him the most shocking win in the Rumble and making him the best surprise entrant in the history of the event.